In December 2018, Coinbase launched Coinbase Earn an invite-only product, targeting both new and existing Coinbase users. The aim of Coinbase Earn is to open up a new frontier to earn cryptocurrency. Coinbase Earn will allow users to earn cryptocurrencies while learning about digital assets in a simple and engaging way. The idea is to get users to understand more about an asset’s utility and its fundamental technology while getting a portion of the asset to try out. By learning about new assets and completing simple tasks online, Coinbase Earn provides the budget for millions of users to earn crypto for the first time. Towards that end, Coinbase Earn promises to give away XLM, ZCash, and ZRX to crypto users. The XLM token is a native of the Stellar Network and is often used to send money across borders or connect tokens within the network. The entire network operates on blockchain and you don’t need a bank account to participate. Coinbase users who fall under certain qualifications will receive an email invitation that allows you to earn up to $10 in XLM. Your task is to watch several tutorials on Stellar and answer quiz questions, encouraging you to learn more about the cryptocurrency. If you wish to share the wealth and earn more, you can use a referral link unique to your account. This can add up to $40 more XLM to your account when at least four of your invites complete the lessons. During the course of the earn XLM, users will earn up to 1 billion XLM, which have been donated by the non-profit Stellar Development Foundation. ZCash is one of the most popular cryptocurrency in the market that provides strong privacy features for its users. To earn the digital assets, you should first receive an email from Coinbase. This will allow you to join in, commence educational lessons, and earn up to $3 worth of ZEC in the process. This rewarding opportunity is also invite-only by email. Once you receive the invite, visit the Coinbase Earn ZRX page to earn small amounts of ZRX. This is after completing educational tasks such as short video lessons and quizzes. According to Coinbase, educational content will go beyond Bitcoin and Ethereum. For the first set of tasks, 0x external development pool is funding the rewards, with 100% of the funds going directly to users. 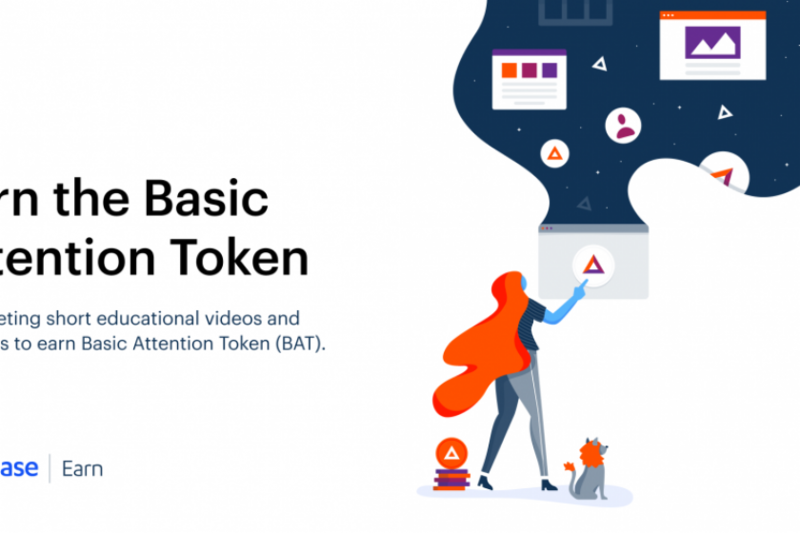 Coinbase Earn also offers users a rewarding opportunity with lessons about BAT (Basic Attention Token) while trying out the blockchain-friendly Brave browser. Considering the opportunity to earn these cryptocurrencies is only available to specific customers, Coinbase is still allowing free content viewing but without a reward. A waitlist is available for users to input their details as more earning opportunities are increased. The next time you transact with Coinbase.com, remember to log in to Crypto Cashback Coins website. This is a free shopping club aimed at the blockchain ecosystem. Sign up today to get free membership and access to the website. While here, browse and shop through the cashback websites listed on the site. A portion of your spend online with Crypto Cashback’s listed retailers such as Coinbase.com will be sent to your digital wallet. Remember to refer your friends to our website and earn points for their purchases. Did you know that Brave browser shares 70% ad revenue for watching their private and secure ads? Brave browser pays our in BAT coins. It currently uses Uphold wallet to transfer the ad revenue for the Crypto Cashback Coin support programe. Is a browser with user’s interests at heart. Allows you browse faster by blocking ads and trackers that violate your privacy and cost you time and money. Brave saves you cash. The average mobile browser user pays as much as $23 month in data charges to download ads and trackers — that’s $276 a year. Brave blocks ads and trackers, so you don’t pay for them. Brave browser pays our in BAT coins. It currently uses Uphold wallet to transfer the ad revenue for the Crypto Cashback Coinprograme. 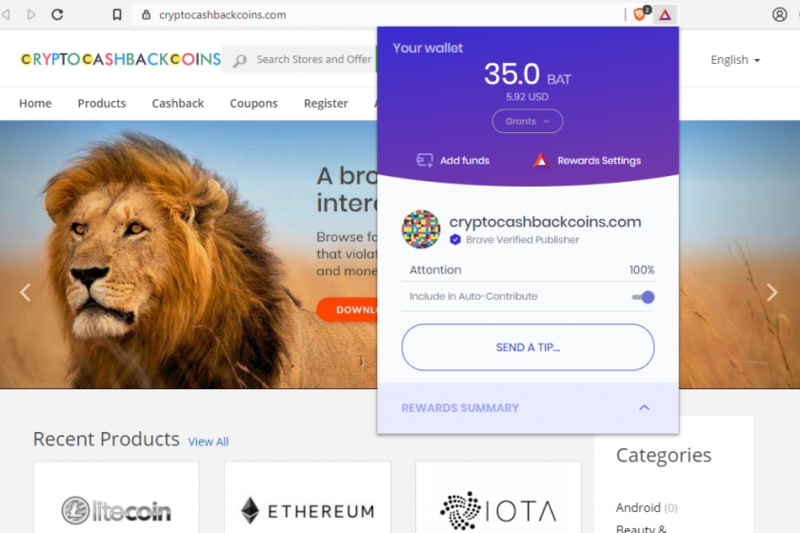 To Earn Crypto Cashback Coins please log-in as a member and click out from this Brave browser merchant profile. For any questions comment and review below. A Quarter Of launched its traditional childhood sweet shop online in 2002. The company’s mission is to get your nostalgic taste buds tingling, from the sweets you loved as a child but thought had disappeared. A Quarter Of conceived the idea for a fun, old-fashioned retro sweets shops after a conversation between friends in a pub. This was after reminiscing childhood memories of retro sweets sold in a small sweet shop at the end of the road on the way to school. It was called “The Chocolate Box”. As a young company, A Quarter Of had doubts they could still make such sweets remembered with such fond memories. But since the sweets were still available – though not in large-scale – the idea still stuck. Reactions from friends and family after they heard the idea gave A quarter Of confidence for a rosy future. Using the ingenuity of cartoonist Colin Whittock, the online sweetshop created a site with the same theme to the comic – Whizzer and Chips. Working with the cartoonist has been a marvel for the online sweetshop especially when he sends new drawings. 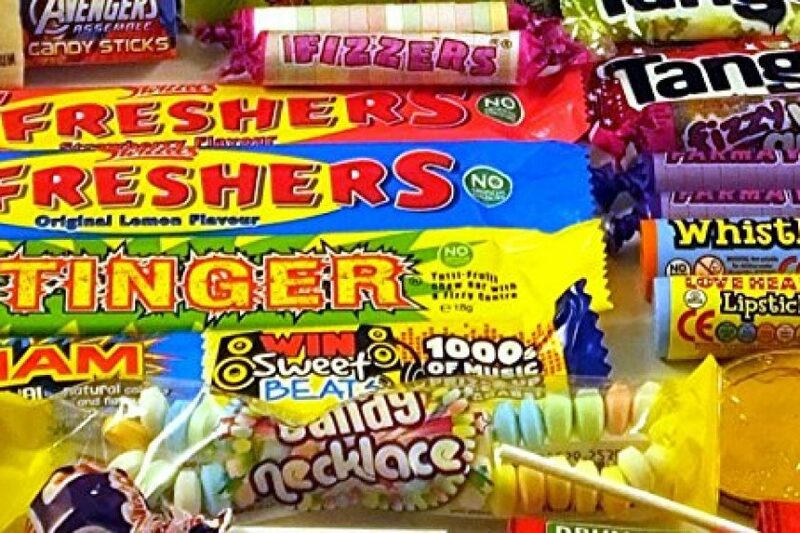 A Quarter Of stocks over 650 types of retro sweets that were readily available in the old-fashioned sweet shops you loved so much back in the day. They include Space Dust, Chewing Nuts, Flying Saucers, Sherbet Fountain, Rhubarb & Custard….the list goes on! A Quarter Of delivers to destinations within and outside the UK, including Canada and the United States. The online sweet shop allows you to state in the coloured information bar at the top of the website your location preference. Besides, the customer service team is quite helpful and in case you need further help, they’re always ready to assist. You can view the estimated cost of shipping of your order on the shopping cart page at the A Quarter Of website. Before you submit your credit card details, you will receive notification of the delivery costs on the shipping page. It’s in this section that you can also select your desired shipping method. You may be subject to local import taxes for deliveries outside the EU, which will be at your own cost where applicable. If this is the case, the shipping company will make contact with you via telephone. Once your products are in customs the shipping company will notify you the charges due or else you should consult your local customs office. There are over 200 jar choc-full of her favourite sweets you can choose from or pick a selection jar or box to personalise. Pick one of the many Mother’s Day designs at stock at A Quarter Of website or create your own design onscreen. Add a special message for your mum and upload photos if you wish. The next time you go shopping for a gift, remember to log in to Crypto Cashback Coins website. Crypto Cashback Coins is a free shopping club website aimed at the blockchain ecosystem. Sign up to get free membership and access to our website. While there, browse and shop through the cashback websites listed on the site. A portion of your spend online with Crypto Cashback’s listed retailers such as A Quarter Of will be sent to your digital wallet. Remember to refer your friends to our website and earn points for their purchases. InterRail is the equivalent of railpass for European residents. A Global InterRail pass allows you extensive train travel on scheduled train services of the national train operators across Europe. A single country InterRail pass allows extensive travel in only one country. InterRail passes were introduced in the early 1970s when the national railways of Europe collaborated to offer rail passes for young people. This allowed them unlimited train travel across Europe. Today there are children, youth, adult and senior InterRail passes for European residents. InterRail pass is an excellent way to explore Europe with minimal stress, as someone else does the driving. You can buy a Eurail pass instead of an InterRail pass if you live outside Europe. An InterRail ticket is perfect for someone seeking to explore. 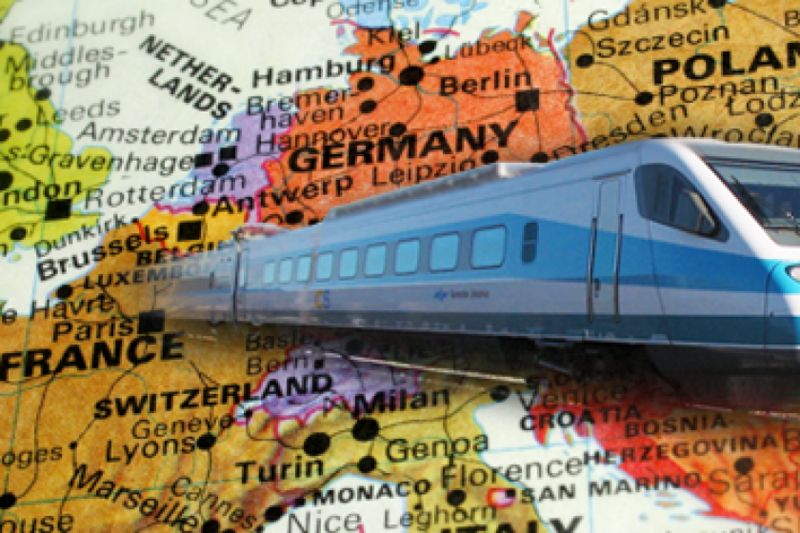 For one month, you can travel freely on Europe’s trains with one ticket. You can visit big cities, white sandy beaches and small mountainside towns. You can seek adventure in the Alps and olive groves on trains that are fast, safe and punctual. With an InterRail pass, you can meet locals and fellow travelers from around the world. If you come across an area that excites you, you can disembark and explore on foot. Assuming you can’t afford a hostel, kip your way across the continent on a night train for zero Euros. An InterRail ticket allows you to board and disembark Europe’s trains free of charge, albeit with some exceptions. You will have to pay in advance if you wish to reserve train seats. In addition, you will have to pay a supplement to travel in a sleeping carriage with bunk beds, or if you wish to sample some high-speed intercity trains. It’s advisable to ask before you board a train to avoid surprises. The InterRail pass is personal and non-transferable, thus only you have the right to use it. You may have to prove your identity so always carry your passport. An InterRail pass doesn’t give you the privilege to travel with your pass in your country of residence. However, discounted rail travel is available on presentation of the pass when buying a rail ticket. Along with your ticket, you’ll receive a special form, where you’ll fill in your journey details before boarding the train. You can earn 3% crypto cashback on your InterRail Pass online purchase using Crypto Cashback Coin‘s platform here. Crypto Cashback Coins is a free shopping club aimed at the blockchain ecosystem. Sign up to get free membership and access to our website. You can then browse and shop through stores listed on our site. A portion of your spend online with Crypto Cashback’s listed retailers such as InterRail will be sent to your digital wallet. Remember to refer your friends to our website and earn points for their purchases. The one underlying factor that is common with cryptocurrencies is that you should not hold them on an exchange unless you are a trader. Leaving or storing your cryptocurrency on an exchange exposes you to a third party attack that can take control of your account and funds. You should only leave your crypto coins on an exchange for as long as necessary. You can use a mobile wallet but there are also prone to hacking. Paper wallets seem like a good alternative for holding crypto coins long-term, but they are too inconvenient. So what’s the next best option? 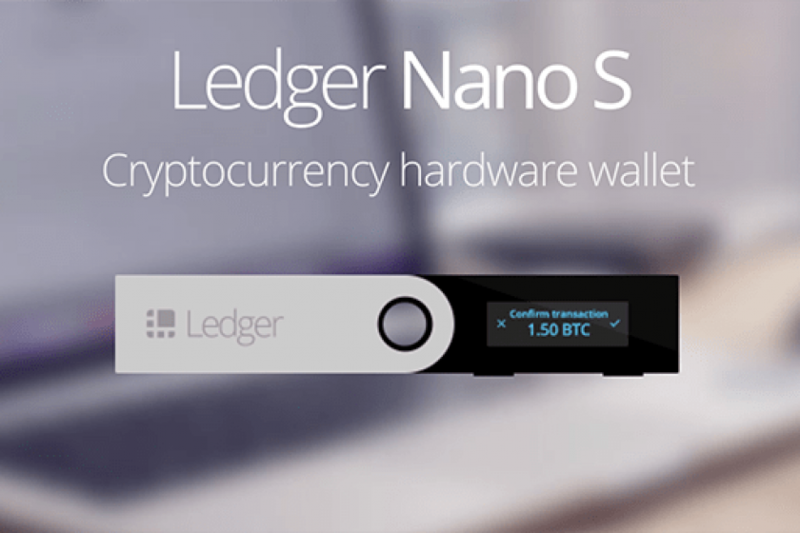 Ledger Nano S is cryptocurrency hardware wallet for Bitcoin, Ethereum, Altcoins and many other cryptocurrencies. Its robust safety features are designed to store cryptographic assets and secure digital payments. You can use it to connect to any computer via USB and install a secure OLED display to verify, and confirm each transaction with a single tap on its side buttons. With Ledger Nano S, you can secure private keys, or isolate sensitive operations inside your hardware wallet with a password. Nobody can interfere with your transactions as you have to verify them physically on the embedded screen by pressing a button. Ledger Nano S supports multiple cryptocurrencies such as Bitcoin, Litecoin, Ethereum, Ethereum apps, and other blockchain-based cryptocurrencies. You can use it to send and receive payments, check your accounts, and manage several addresses for each currency on the same device. Besides, Nano S is compatible with online services such as Gmail, Dashlane, and Dropbox. There is no need to transfer your coins elsewhere when updating your wallet. All the coins will reappear automatically after updating and restoring. The fact that you can store multiple cryptocurrencies in this Wallet makes buying Ledger Nano S a worthy investment. 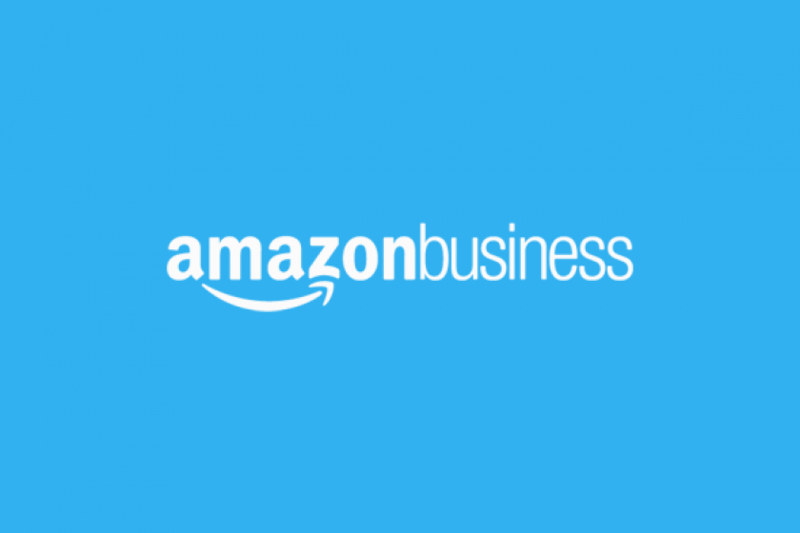 Crypto Cashback Coin offers Ledger Nano S Hardware Wallet from Amazon with special coupon that provides at least 2% crypto cashback for the online purchase amount here. Crypto Cashback Coins is a free shopping club aimed at the blockchain ecosystem. Sign up to get free membership and access to our website. You can then browse and shop through the cashback websites listed on our site. A portion of your spend online with Crypto Cashback’s listed retailers such as Ledger Nano S will be sent to your digital wallet. Remember to refer your friends to our website and earn points for their purchases. Blockchain technology has caught the attention of companies across industries including airlines. Using a robust cryptographic approach and an appropriated messaging protocol, it creates shared ledgers that decentralize reconciliation-based processes. In contrast to traditional technology, blockchain technologies are consistent and durable. They’re also shareable, mutualized, and protected at the data principle stage. But can airlines cut through the buzz, and use this technology to improve their business processes? On February 5, 2017, Singapore Airlines announced plans to launch a digital wallet for its frequent-flyer KrisFlyer program in six months. The aim of the blockchain-based wallet is to enable program members to spend their air miles at retail partners for point-of-sale transactions. 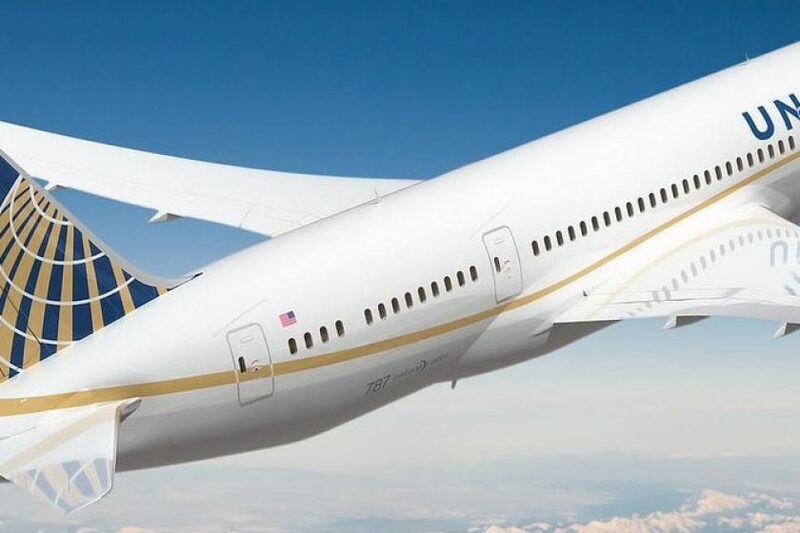 This initiative came about after the airline partnered with KPMG and Microsoft to carry out a successful proof-of-concept trial. 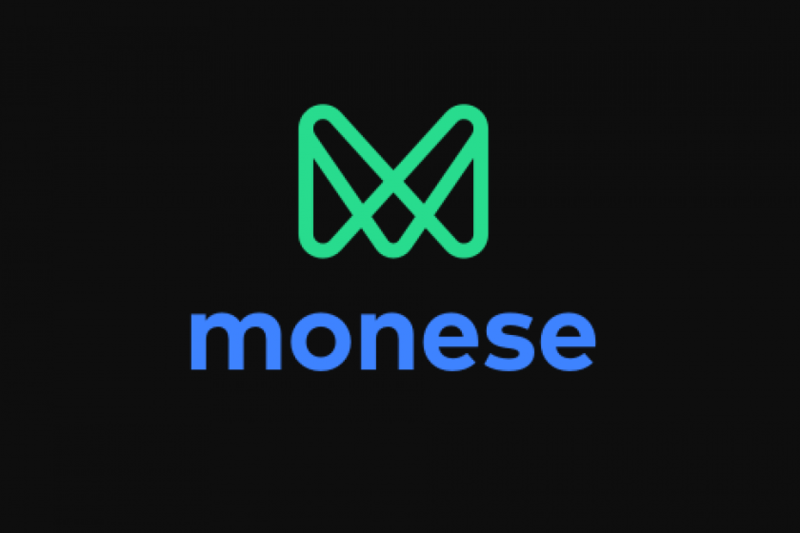 It’s currently signing up retail merchants in Singapore to join the blockchain based service. Australia’s Brisbane Airport is planning to roll out cryptocurrency payments within its terminal shopping areas. Supported by cryptocurrency travel firm Travelby Bit, the new payment system will enable travelers to use bitcoin, Ethereum, dash and other digital currencies to shop and dine at several stores and restaurants at both Brisbane’s air terminals. According to Roel Hellemons, Brisbane Airport Corporation’s general manager, the airport will be the first globally to incorporate cryptocurrency payments. According to Aviation Today, Air France alongside Microsoft and Ramco aviation recently discussed the possibility of applying blockchain technology to track workflows within its aircraft maintenance systems. The question of whether Air France will completely switch to a blockchain-based system remains open. The major obstacle is that much of airline data is not digitally stored. But until the modernization of paper-based processes, blockchain wouldn’t be as helpful as envisaged. According Kommersant, a local Russian media outlet, Russia’s biggest airline S7 is now issuing passenger tickets on a blockchain with support from Alfa-Bank – the country’s largest private bank. S7 Airlines and its ticketing agent S7 Ticket are now selling air tickets on the Ethereum blockchain. The aim of the platform is to reduce settlement times between the airline and the agent, which currently takes roughly two weeks. Furthermore, it will streamline the payment process by deducting the agent commission automatically after ticket sales to reflect the final receipt. Japan’s number one budget airline Peach Aviation announced plans to accept Bitcoin for ticketing and adding tie-ins. The target is pay points in souvenir shops, restaurants, and accommodation. There are also plans to install bitcoin ATM’s in conjunction with Bitpoint Japan. This is despite the uncertainty in the crypto-markets after the $500 million Coincheck hack on January 26, and speculation that Japan regulators would curtail trading and spending in the crypto-market. Due to fluctuating markets at the end of 2017, a new start date was scheduled for March 2018. Airbaltic in Latvia announced almost three years ago the intention to accept Bitcoin as part of improving customer service. The airline would accept bitcoins as payment for air tickets to 60 different destinations. They include Europe, the Middle East, Russia, and Central Asia. AirBaltic is the first airline worldwide to accept virtual currency payment. The excitement for blockchain technology is justified in airlines. But, airlines still need to approach the blockchain evolution appropriately. We can expect blockchain technology to take flight in airlines over the next decade. The usability not yet envisioned today may become the mainstay, cutting costs and reducing complexities while improving the travel industry.